After 7 years of conflict, Syria's last jihadist hotbed in the north of the country is preparing for a Russian/Syrian attack. However, 70,000 fighters in a city of a population of 3 million people, the battle could be a human crisis. In 2012, former French foreign minister Laurent Fabius severed all ties with Bashar al-Assad, citing that al-Assad couldn't take part in shaping Syria's future. 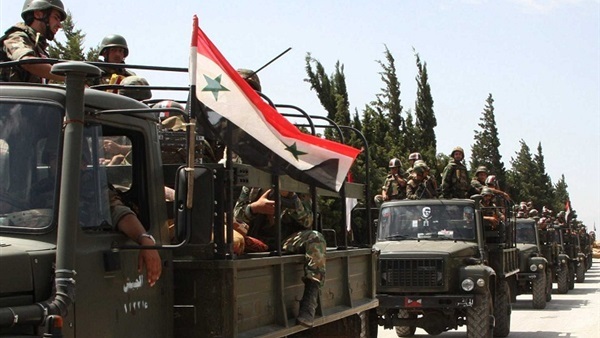 However, after 6 years, al-Assad, whom analysts thought was taken by the Arab Spring, is preparing to fight the last jihadist hotbed in Idlib thanks to the military and political support of Russian President Vladimir Putin and Iran. Idlib is the last jihadist bastion after the Syrian army recouped Darya, East Ghouta, Homs and Daraa (the birthplace of the Syrian 2011 revolution). Airstrikes and artillery have cost the takfiris in Idlib heavy losses over the past weeks. Idlib will be the last chapter in al-Assad's victories to recapture all of the Syrian territories. However, the recapture of Idlib may turn into a human crisis as the population is estimated at 2.5-2.9 million civilians (150,000 in 2011), including more than one million children and 70,000 militants preparing for the last attack. Statistic ally, this is catastrophic. There are 10,000 militants of al-Qaeda-affiliated Tahrir al-Sham, comprising elements from Ahrar al-Sham and Turkey-backed Nour al-Din al-Zenki Movement. Turkish President Recep Tayyip Erdogan called for ceasefire on September 7 during a tripartite summit in Tehran. However, President Putin dismissed any possible truce. UN offical John Ging warned in August that any attack on Idlib would incur a dire human crisis. Moreover, the international community has voiced concern that chemical weapons would be used during the Syrian regime's next battle. Idlib is completely under siege. No-one – militants and civilians -- can get out. Al-Assad and Putin overlook all calls from the international community and warnings from the West to prevent bloodshed. While Jean-Yves Le Drian leaves the door open for negotiations, the Pentagon supports the Russian/Syrian anti-terrorism operation. Meanwhile, Russia, which thinks the terrorists won't respect truce, has not decided to open a way out for civilians to go to territories controlled by al-Assad's army. Moreover, it creates a problematic situation for activists and opposition figures who escaped from Aleppo, Homs and other cities to Idlib. These fugitives are afraid of falling in the regime's grip.